If you think you have have seen and tried all kinds of complex tasks on internet, try to convert data from Outlook for Mac to Pst files for Windows. It is the perfect way to lose productivity and to tangle yourself in the web of imprecise tools. If you are here looking to avoid that and look for alternative, you are at the right place. 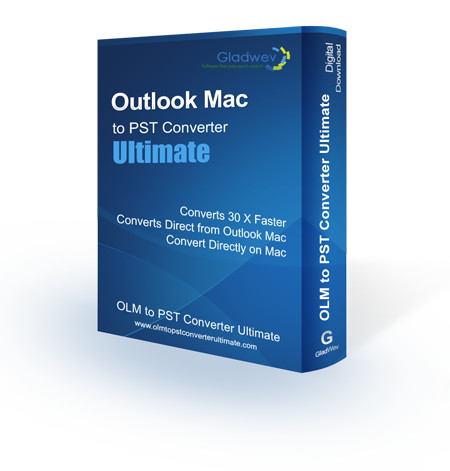 “Olm to Pst Converter Ultimate” is a tool offered by Gladwev Software to convert Outlook for Mac to Pst files in a proper way. It is the only tool that works on Mac and can load your Mac Outlook database directly from your primary identity folder, where all your emails and other items are stored. This helps the tool convert information with a precision that’s much sharper than any Windows based solutions. Use an email account (IMAP enabled) and transfer emails internally without involving any Olm or Pst files. Use a traditional Olm to Pst Converter to convert the data files. “Olm to Pst Converter Ultimate” triumphs over both of these methods substantially. It allows users to convert the emails without even needing Olm files. So you can let go of the unnecessary and sometimes tedious step of archiving data to Olm files. No trouble dealing with corrupted Olm files, no trouble finding Olm file location, no trouble wasting time in superfluous jobs. Having said that, the tool also keeps the conventional method of conversion by Olm files. This is because sometimes the data is not stored in identity folder but in Olm files. It also allows for the data migration involving multiple files from multiple users. Side-note* – Many people ask where is the Olm file location? Where it is stored? The answer is that it is not stored anywhere, as it is not an identity file, but an archive file. You have to manually archive/export data to it, at which point you can also choose where to save the file manually. Furthermore, you can use Time Machine to set up automatic archiving of data. Gladwev recommends to choose ‘Express’ mode, and not manual Olm files. You should only choose to convert data from Olm files when it is the only way. If you have Mac Outlook installed and the data you want to convert are inside the identity folder, always choose the ‘Express’ option which auto-detects your database. So, what actual benefits are of this approach and why Gladwev recommends it for Outlook for Mac to Pst file conversion over the others? As it turns out, there are many. Sharper Accuracy – The accuracy is much sharper and refined, which shouldn’t be so surprising since the tool targets the direct source and not any archived files. When you archive the data to an Olm file, some of the information is already missing to some extent. Besides that, the tool has a intelligent logic to convert and preserve all kinds of data. More Intuitive – Clicking “Express” and having the entire database auto-loaded is far more intuitive than any other method. The interface becomes more simple and more automated because of knocking out the unnecessary manual actions. More Features, settings, and control – This allows developers to create a more flexible tool with extra features, settings, and control for how you want to convert Outlook for Mac to Pst files. All of this while keeping things simple and intuitive, without overburdening the interface. Quicker Conversion – It also makes a huge difference in how much time is required for conversion. The speed depends on both factors – how the data is loaded and how it extracts and converts the information to multiple other formats. Ultimate already saves time by auto-detecting your content, but it also has a very quick and prompt conversion algorithms that makes everything work like a flash. There are several Olm to Pst converters that have many superfluous features that overload the interface and overwhelm the users, without providing any real value. Ultimate is different. It features some useful and unique functionalities that make the Outlook for Mac to Pst conversion more effective and practical. It has been arranged with the interface in a smart way, which makes the interface functional but also keep it simple. Let’s take a look at these features and how it makes the conversion more effective and flexible. Split Large Pst files – Did you know that Outlook for Windows isn’t too good with importing large Pst files? So, suppose, you have a large Olm file and you used a tool to convert it to Pst. Now, since the original Olm file was large, the converted Pst file would be large too. It took a lot of time but at least it worked, and now you are trying to import the file to Windows Outlook. It failed. The Outlook keeps crashing without uploading the file and its content. It would be very frustrating to waste so much of your time and being stuck at the last time. Fortunately, Ultimate has a workaround this issue. It lets you limit the size of Pst files and splits any file that goes above it. So essentially you will get multiple Pst files, but none of them would be larger than your applied limit. Contacts and Calendar Conversion – Ultimate brings the ability to convert emails, contacts, and calendar data and everything else together and automatically. You don’t need any other tool for converting them. The tool also works with this feature flawlessly and the information fields relating to them are all converted without damage. Furthermore, there is an option that can merge multiple contacts and multiple calendar entries to a ‘default’ folder. Able to Preserve Folder Hierarchy – The most common frustrating thing during conversion task is the loss of folder hierarchy, the arrangement of your emails in folders. For users with large database, this can be quiet painful. Seeing years of emails just abruptly losing their folder arrangement is not something that they expect. Luckily, Ultimate has a better system that keeps your folder hierarchy same after conversion. Converts Non-English languages – It has been frequently observed while converting Outlook for Mac to Pst files that the text in languages other than English can be damaged. This is solely because they belong to different character encoding standards and many tools fail to employ any system to read and convert them. Not so much the case with Ultimate. It generates Pst files with Unicode standard and keeps all kinds of text and characters safe. This also includes languages encoded with double-byte characters, such as Korean and Japanese. “Olm to Pst Converter Ultimate” is a modern software that leans on smart data conversion logic and interface designing, bringing to you a flawless experience. It helps in both small-scale and large-scale migration, can be used by both beginners and experts, and works in all cases. The flexibility offered by developers make it a complete package that will get the job done in the most professional way. You won’t need any kind of training or learning, no other tool required, nothing. It works as a standalone tool that has everything you need for converting Outlook for Mac data to Pst files for your Windows Outlook. The user-friendly interface, the ability to split large Pst files, the power to convert large database very quickly, ability to preserve attachments, non-English text, and folder hierarchy, and such features create a smooth experience, which is an otherwise very lengthy, tedious, and even risky from data safety point of view. And even though using the tool is super easy, thanks to its user-friendly GUI, Gladwev Software still backs it up with an excellent customer support 24×7. You can contact them anytime and have your queries answer instantly, or any setback resolved. Few final words – “Olm to Pst Converter Ultimate” deals with data conversion efficiently. The free trial version will get you the chance to see all of this in action without any risk. It can be downloaded below. And Gladwev releases regular updates to keep the performance always top-notch. All these updates will be free for you for lifetime. 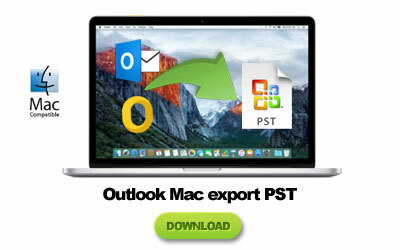 Get it today and start converting Mac Outlook data to Pst files like a true professional.